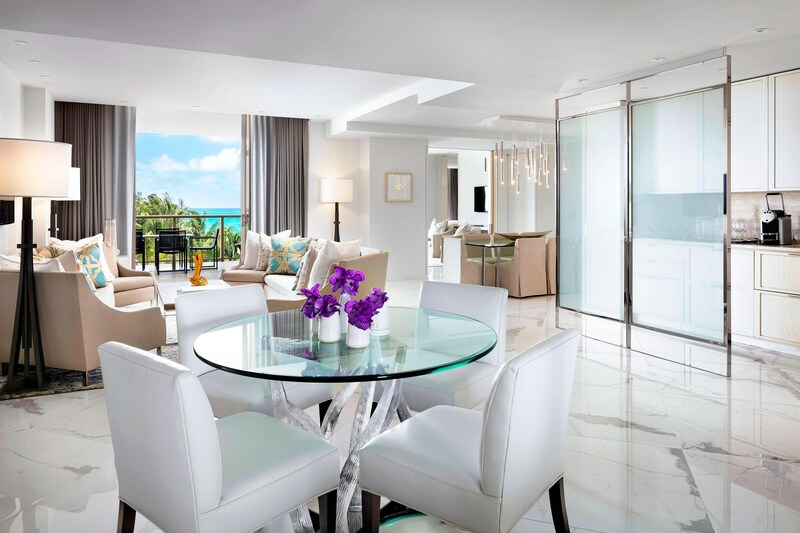 The St. Regis Bal Harbour Resort is situated at the intersection of art, fashion and design. The Forbes Five-Star and AAA Five-Diamond resort offers an unrivaled South Florida vacation experience. 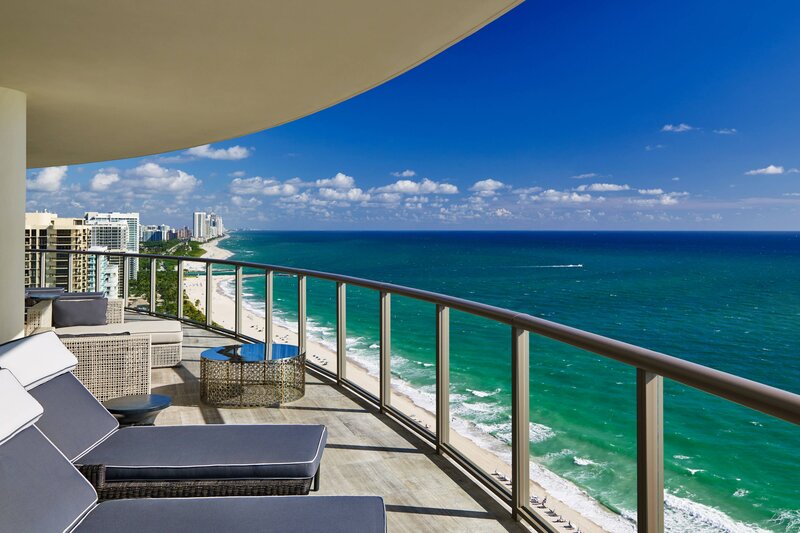 Rising 27 stories above the Atlantic, The St. Regis features spacious, luxuriously appointed guest rooms and suites with direct ocean views from expansive balconies. The resort also offers superb amenities, including a 14,000-square-foot Remède Spa, gourmet cuisine at Atlantikós and BH Burger Bar. 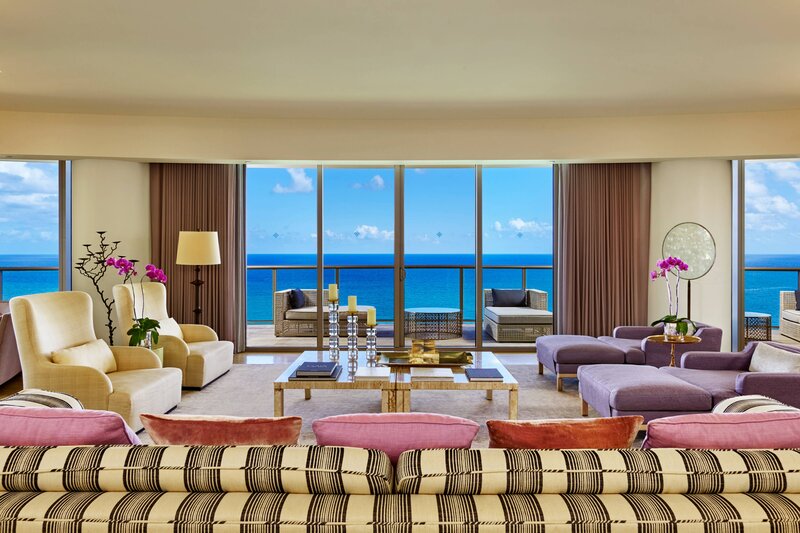 Enjoy beautifully appointed Oceanfront Day Villas and signature St. Regis Butler service. One of the most distinguished neighborhoods in South Florida, Bal Harbour sits at the northern tip of Miami Beach. An oasis of pampering and privilege, Bal Harbour has long been a favorite destination for jet-setting travelers worldwide. Equally suited to romantic getaways and family vacations, The St. Regis Bal Harbour Resort offers unmatched access to the area&apos;s most noteworthy points of interest. Reminiscent of the bright blue and white contrasting colors of Greece, Atlantikós exudes a truly authentic dining experience. The St. Regis Bar & Wine Vault features an exclusive selection of the World’s finest Champagnes, rare vintage wines, and hand crafted cocktails, complemented by an innovative menu of sushi and Asian-inspired cuisine. This dining destination offers indulgent and authentic French cuisine featuring the sophistication and artistry of Miami&apos;s Best Address. The St. Regis Bal Harbour’s restaurants each present an exquisite culinary experience. Remède Spa provides an oasis of refinement and tranquility in the heart of vibrant Miami Beach. Featuring striking design and luxury materials, our 14,000 square-foot spa boasts an exclusive treatment menu that embraces Bal Harbour’s chic, fashionable vibe and spectacular seaside location. Out classic pedicure includes buffing, nail shaping, cuticle care, exfoliation, paraffin mask, relaxing massage, and expert polish application. This beautifying treatment incorporates nail shaping, cuticle care, paraffin mask, relaxing hand massage, and expert polish application. Customized by our expert therapists, this indulgent aromatherapy involves a luxurious soak in a bath. 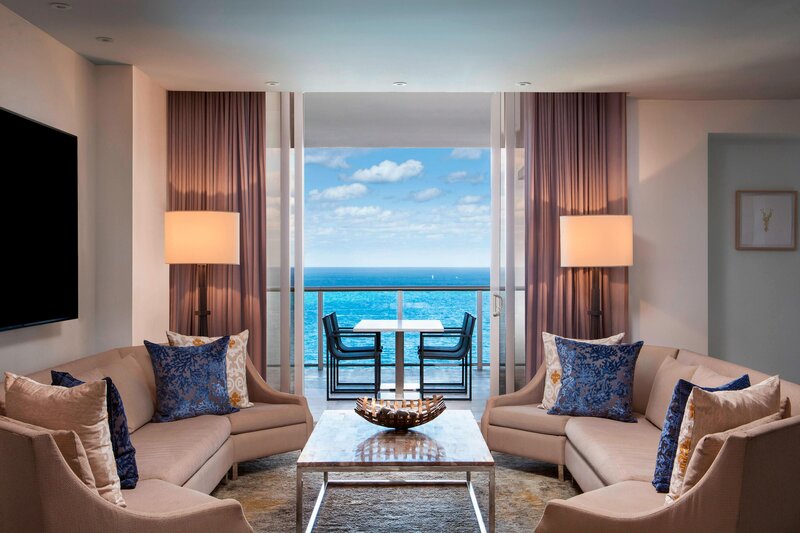 Showcasing the enchanting oceanfront vista, all rooms and suites have floor-to-ceiling windows, most leading to spacious glass-walled balconies. Panoramic Ocean Views. Every guest room and suite has a direct ocean view from a private 210 square-foot balcony. Sliding glass doors open onto a 1,200-square-foot wraparound balcony featuring views of Miami—from the harbor to the horizon of the Atlantic Ocean.